Idaho residents looking for emergency cash loans have multiple options. You could apply for a loan at the bank, or you could drive to a cash advance store in your area. Of course, you could save time, money and gas by simply going to CashLoan.org where you can have that emergency cash in an hour or less. Idaho does not heavily regulate the payday cash loan lending industry. Companies may charge any interest rate and fees that the consumer is willing to pay. Creditors do, however, have to abide by other provisions as stipulated in Idaho’s small loan laws. Additionally, all fees and interest rates must be included in the borrower’s signed contract. The agreement must also include the phone number of the Idaho Department of Finance. 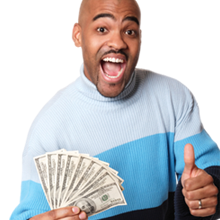 $1000 is the maximum payday advance loan. Idaho law permits three extensions or rollovers.